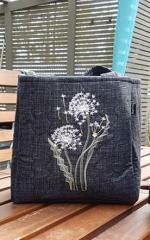 On this picture you may see fragment of embroidered textile bag decorated with interesting combination of two different embroidery samples. 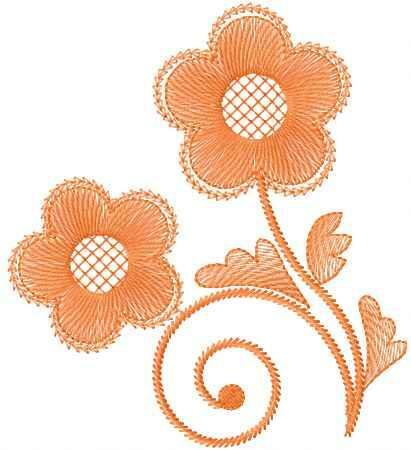 They are Orange flower free machine embroidery design and Violet flower free machine embroidery design. Images are executed in same style. These pictures are quite simple but when they are combined author get really beautiful sample which is able to embellish this work piece. 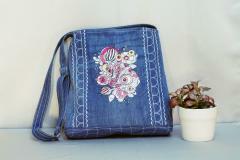 There is the funny jeans shoulder bag made with special technique which reminds well-known patchwork. 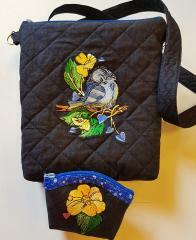 So the central “patch” is the piece of fabric with embroidered picture of pretty little duck and its friend frog. Each of them is holding bouquet which size corresponds with the size of the owner. 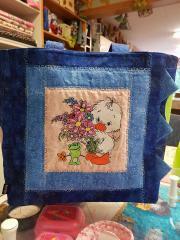 Duckling with bouquet embroidery design is the nice picture which helps the surrounding people to remember about kindness and friendship. 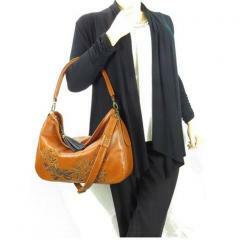 On this picture you may see the comfortable shoulder bag inside. 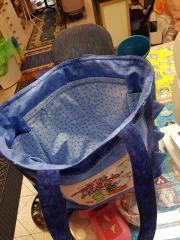 It is made from blue fabric which reminds jeans. 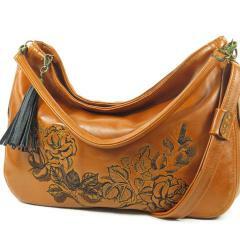 Its front side is decorated with Duckling with bouquet embroidery design. 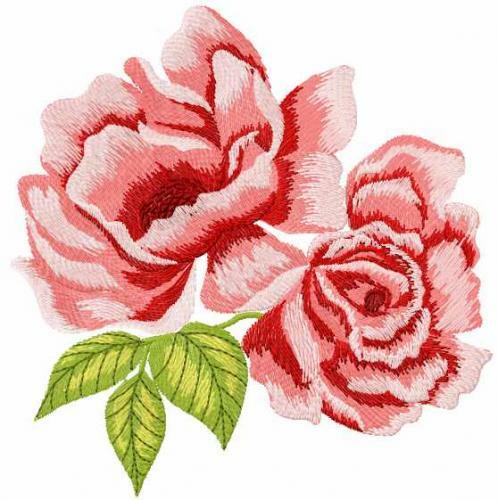 It is the picture with two cartoon characters: one of them is the pretty duck which keeps the huge bouquet in its wings. The other one is little frog which also likes flowers but it has only one item this time. 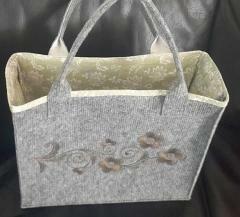 This is the nice textile bag made in natural style. 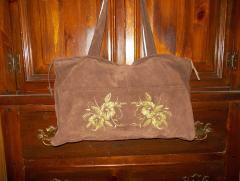 The material for its body is rough burlap and its handles remind flexible green tree branch. 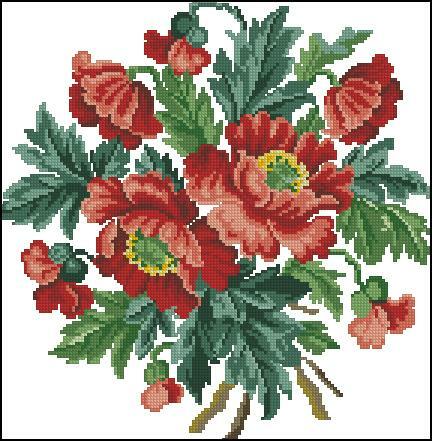 The final part of this composition is Don't forget flowers embroidery design. 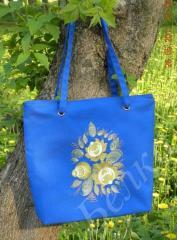 The color of the leaves perfectly fits the shade of handles and the side ties. 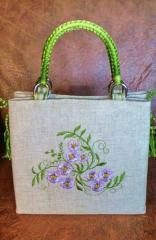 The flowers of gentle violet color seem to exude a delicate fragrance which creates the good mood. 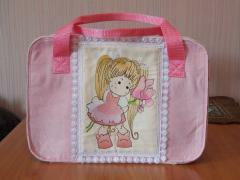 This is the nice backpack for schoolchild made by Helga Wies‎ from the convenient fabric of bright pink color. 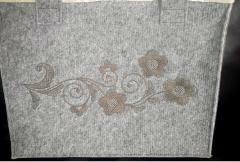 Its surface is decorated with Bee free embroidery design: it shows the funny little bee which is having relaxation in the elastic and soft bud of the water lily. 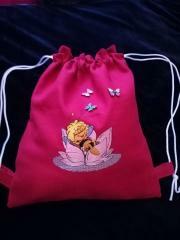 The color scheme of this embroidery sample made in gentle rose and violet shades is perfectly combined with the main background of the pretty children’s backpack.